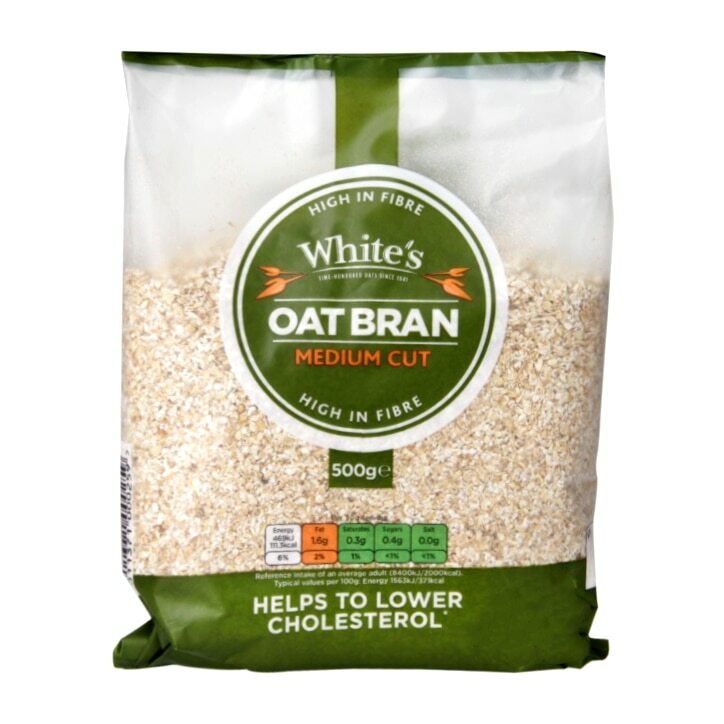 Whites Oat Bran Medium is an excellent high fibre and low fat start to your day. It provides a rich source of soluble fibre beta glucan. Oat Bran can be used to make a warming bowl of delicious smooth porridge or else added to foods for an extra nutritional boost. Whites Oat Bran Medium is rated 4.8 out of 5 by 30. Rated 5 out of 5 by StillAnonymous from The best bran for porridge Makes a brainless microwave porridge when I stumble down to the kitchen still half asleep. 1/3 cup bran, 1 cup water, m/w for 4 mins whilst I knock back two cups of coffee and it's ready. Excellent with blueberries and almond milk. It seems that H&B are the only shop which sells this in my neighbourhood; some shops have fine ground (which makes slime) and some have coarse (which makes something with a texture like frogspawn). Made in the UK but I'm still going to stockpile some before Brexit or WW3 ! Rated 5 out of 5 by Burnette from So healthy for you I use this everyday as it is better than plain oats, I prefer it make it with hot water and leave it to soak overnight, I only add enough water to soak as I prefer it very dense which fills me up till lunchtime, I sprinkle a tiny bit of sugar on too absolutely scrummy ! Rated 4 out of 5 by Lamorna12 from Great quality I have used this product for many years and always very happy with it. Much prefer using Oatbran rather than the other porridge poducts which are available in supermarkets. Rated 5 out of 5 by randb from A great buy I find that oat bran fits in well with my diet and can be added to a varied number of meals.